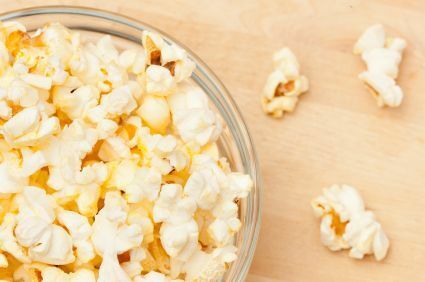 Popcorn makes a great snack, but can be a little mundane. Chili, garlic, and cumin give this popcorn a kick! Popcorn makes a great snack, but can be a little mundane. Chili, garlic, and cumin give this popcorn a kick! 1. Mix hot popcorn and margarine. 3. Sprinkle over popcorn. Mix well.